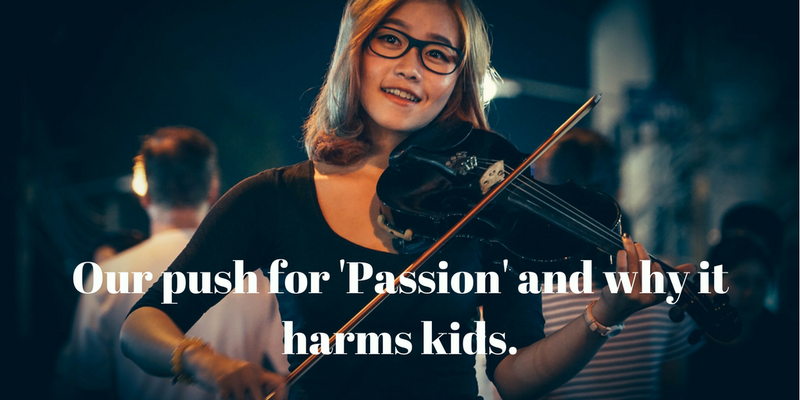 Our push for ‘Passion’ and why it harms kids. Childhood is about exploration- but all too often we seems to be pushing our kids to find a passion and be able to quantify that passion on their college application. Read this article to find out why “finding a passion” has become so culturally accepted and what to do about it.